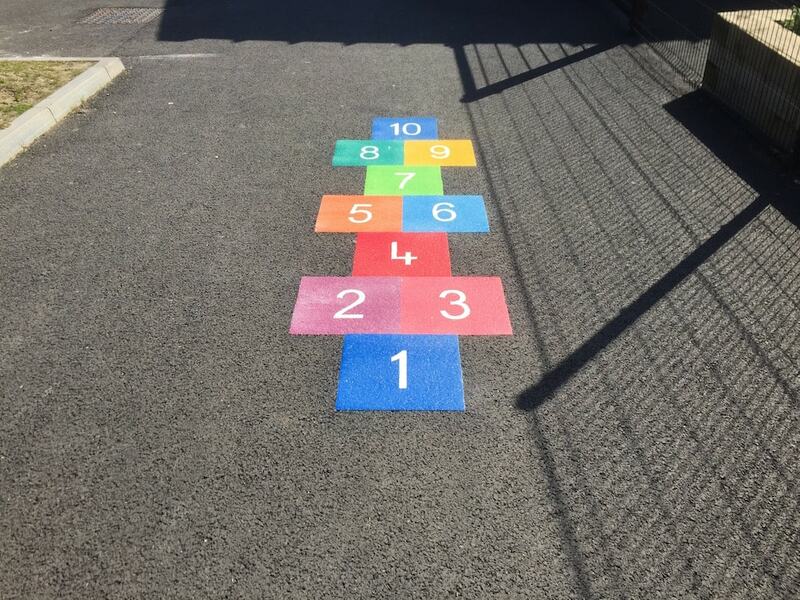 first4playgrounds installation team recently completed a range of thermoplastic playground markings at a Primary School in East London. 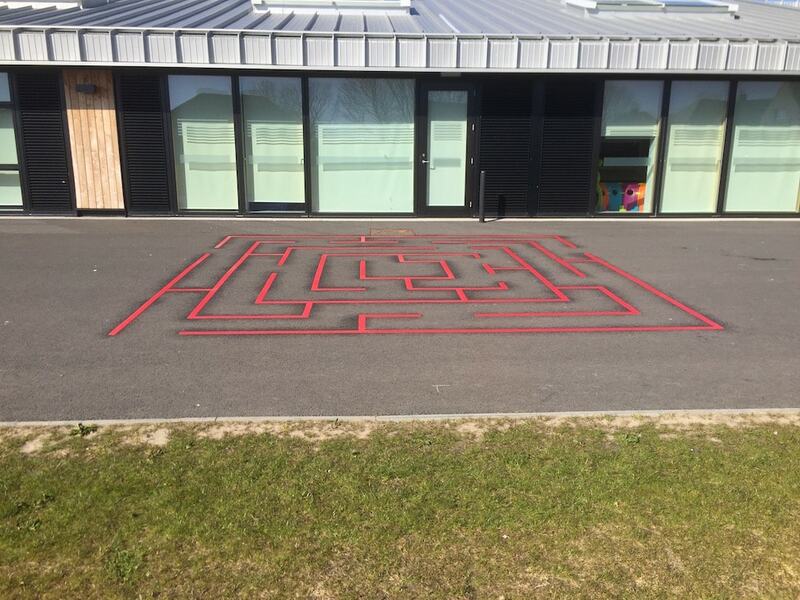 Firstly our team installed a rectangular maze. This is a great exciting game for the children and always is the first to catch their attention. The basic line maze contains an entrance and an exit. The children have to find their way through the maze to the other side. 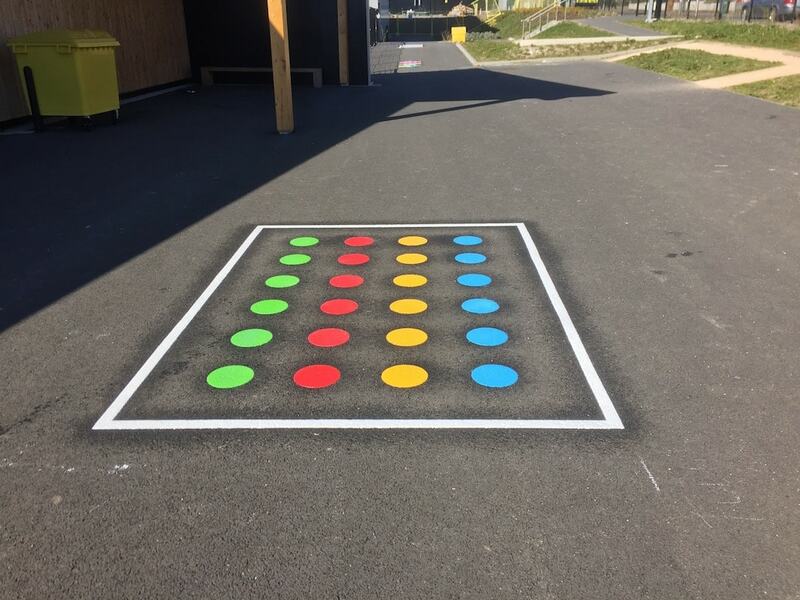 Secondly the team installed a twister playground marking. 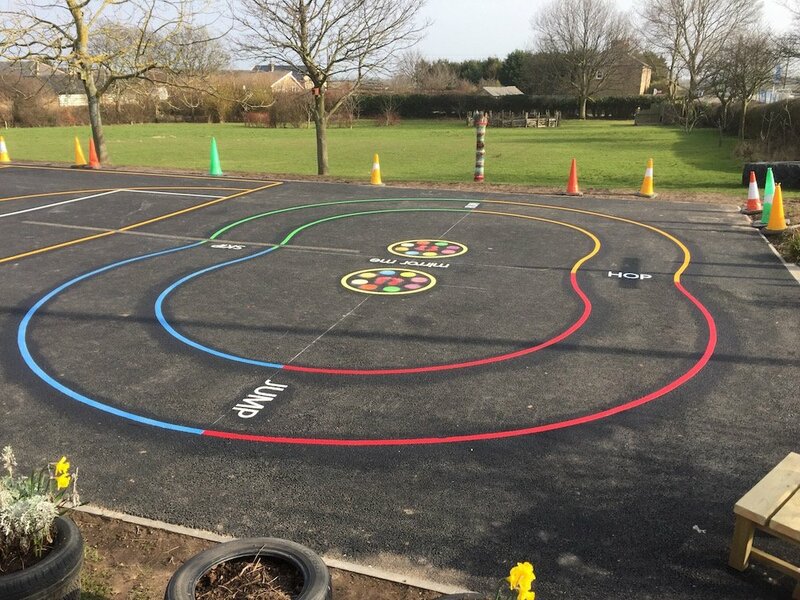 This game can be used with the spinning dial or for other activities during P.E and is great fun for the children. 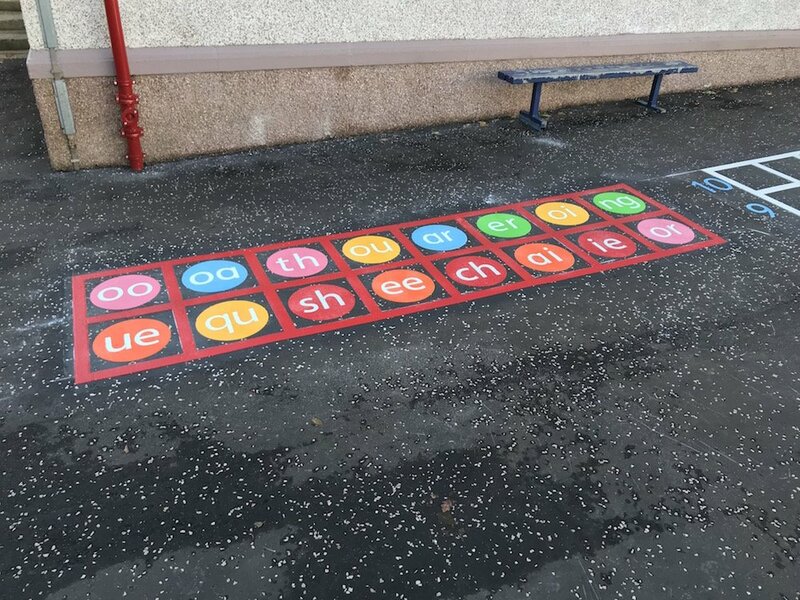 We then installed two basic Hopscotches. These are one of our most commonly sold and installed games. 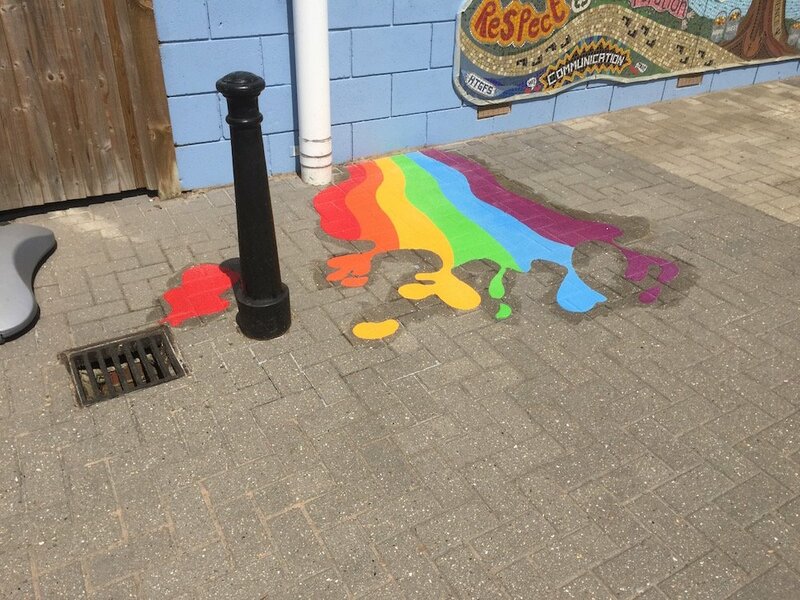 They are bright and colourful and the kids love them! 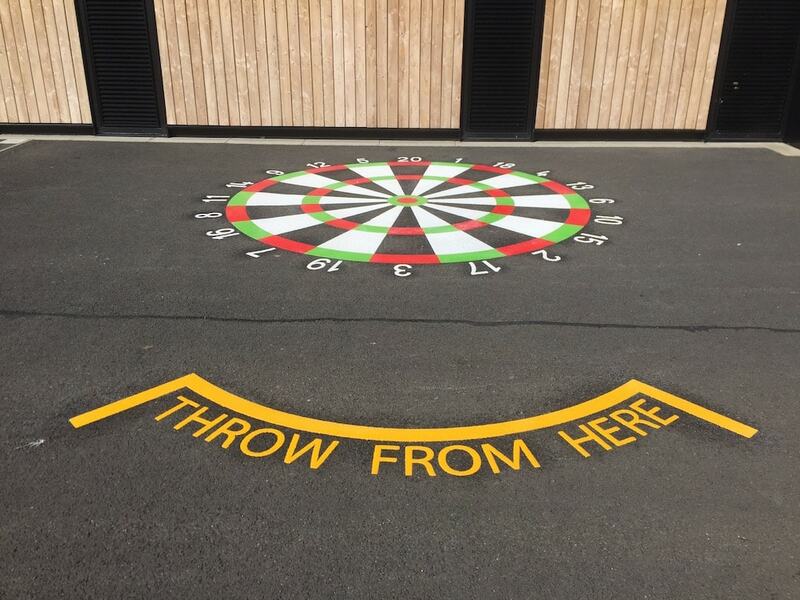 An enlarged dartboard was then installed. 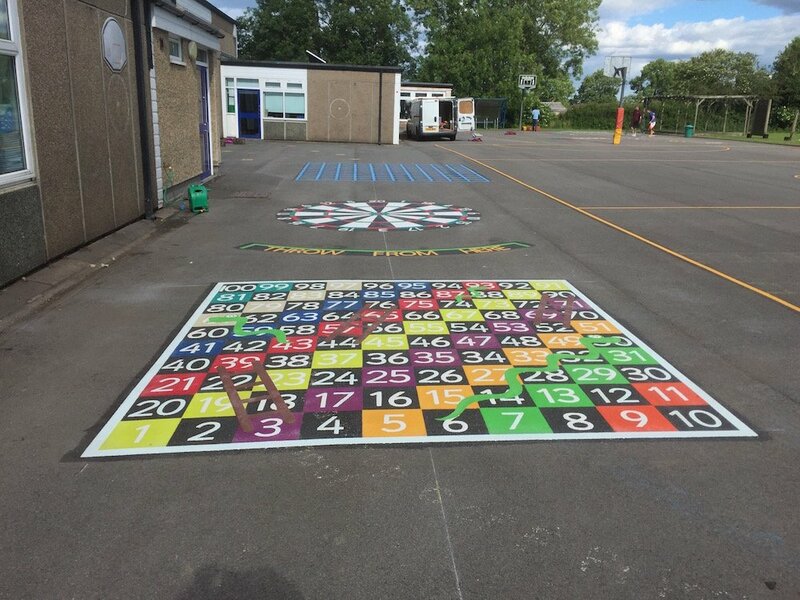 This is an exact replica of a dartboard, enlarged, then installed onto the playground floor. Next a basic Long jump. 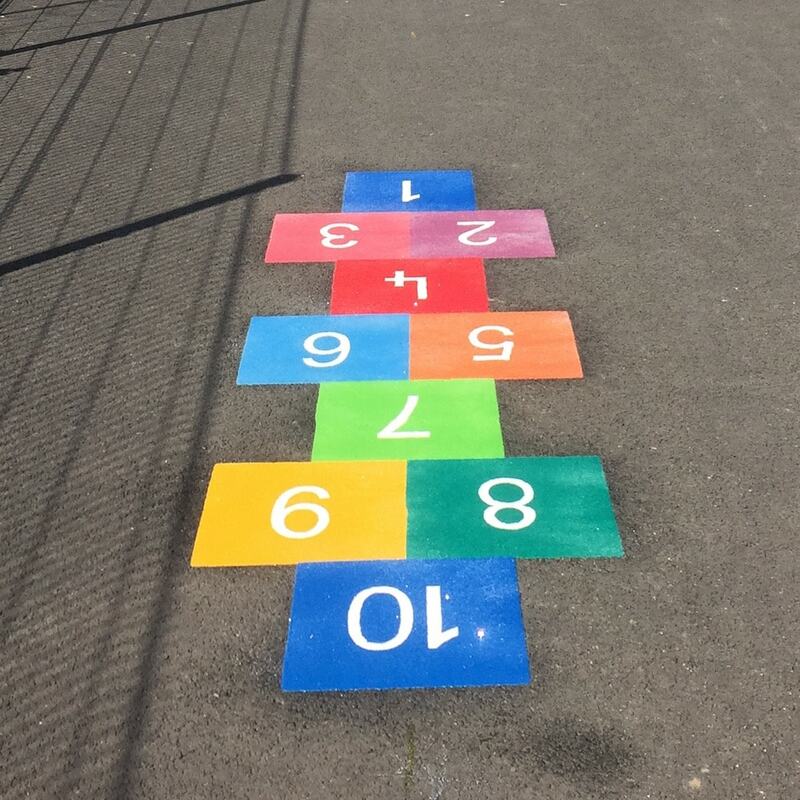 This can be used for normal long jump or standing long jump and is a great way for children to test and improve their athletic ability. 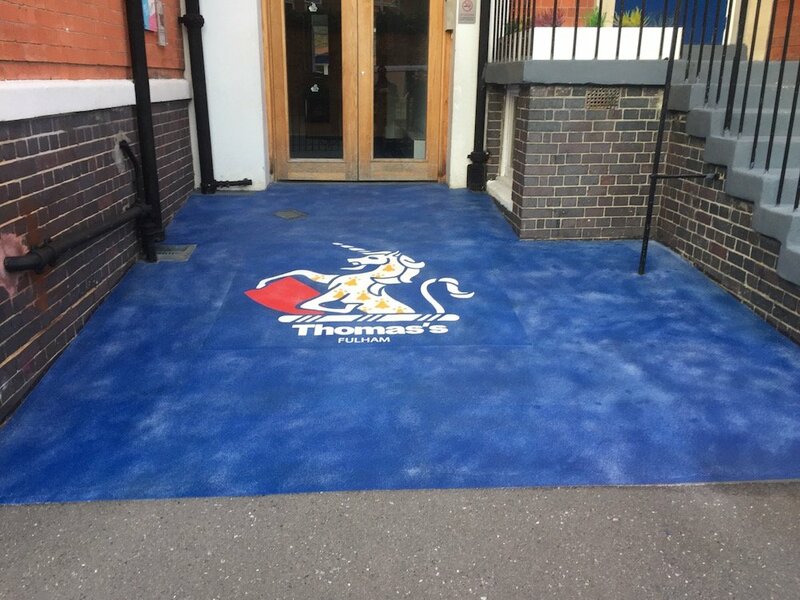 We then installed an Activity Trail. 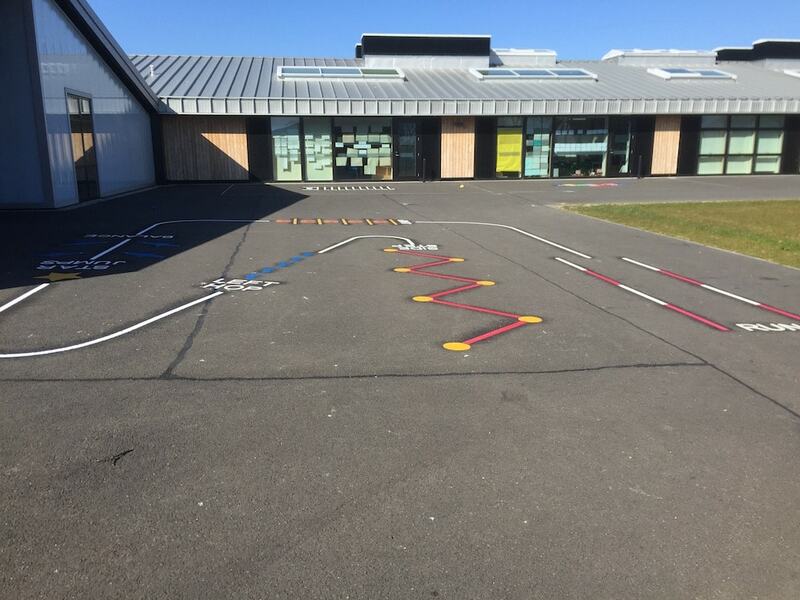 Our Activity Trails contain a run station, a jump, a balance, star jumps and left and right hop stations. 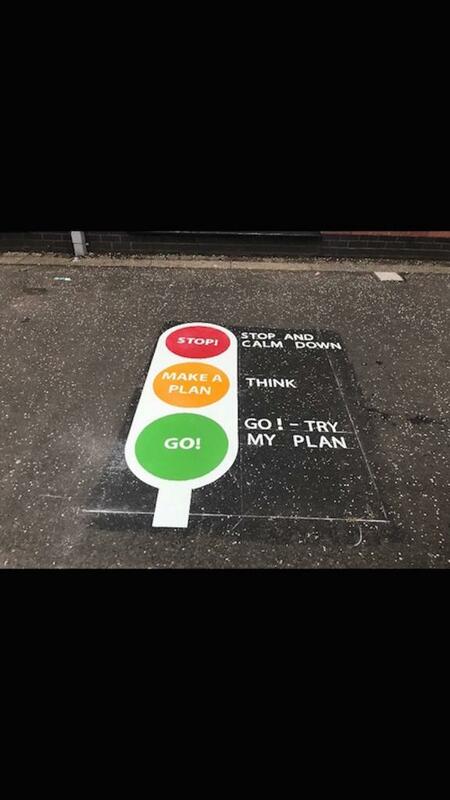 The children have to complete the instruction following each station. 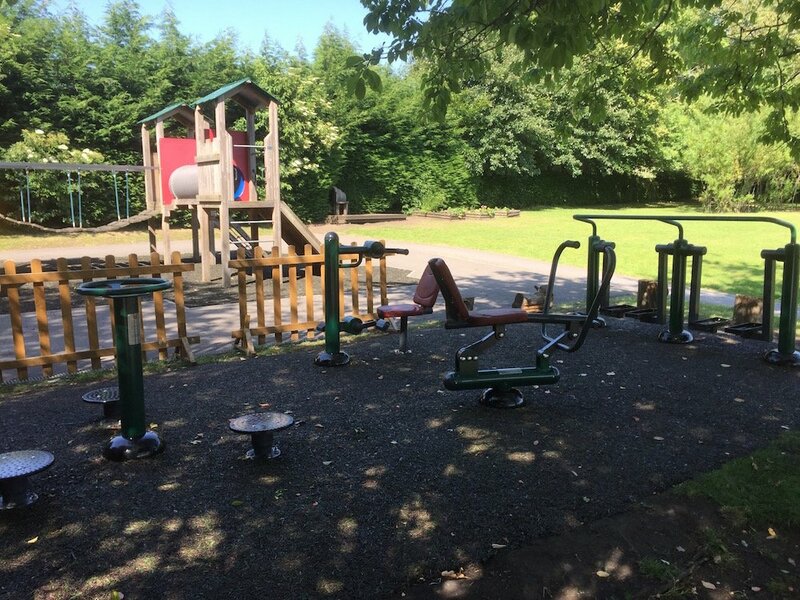 This is a brilliant way for the children to stay active and healthy. 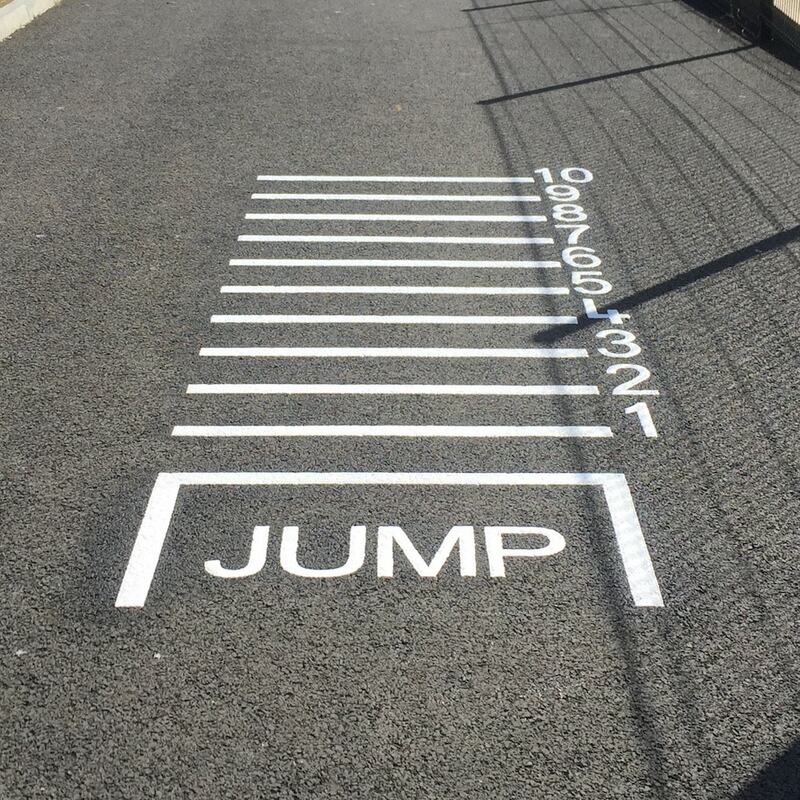 Finally the team installed this 30 meter road track. This is a replica of an actual road. 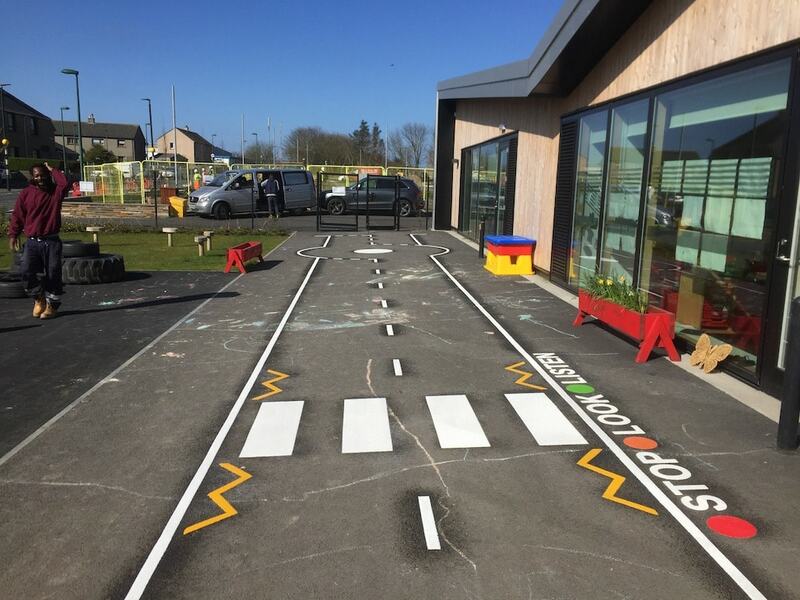 It benefits the children and the school as it mean children can practice cycling efficiency and road awareness in a safe secluded place. Therefore when the children are old enough and ready, they will already have prior experience of dealing with situations properly when riding their bikes and scooters on the roads.